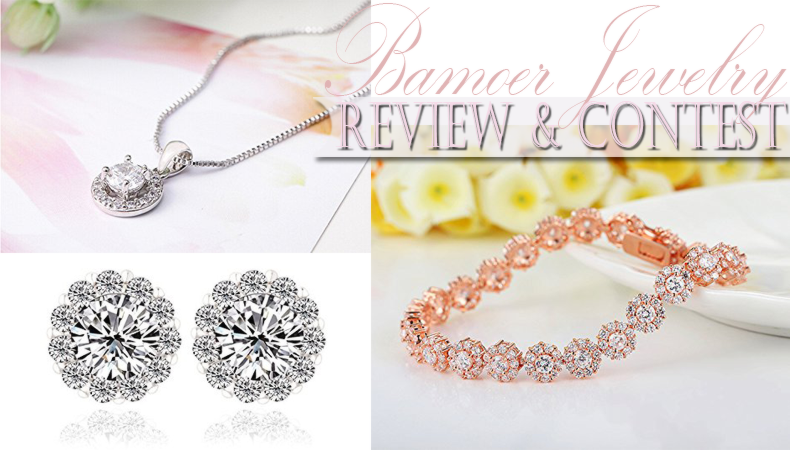 I recently got the opportunity to try on and review some of the beautiful jewelry pieces from Bamoer. They have some really affordable but absolutely stunning looking jewelry pieces and I was thrilled to be able to wear some of them! They quickly became my favorite, go-to pieces for both casual and more dressy looks. These are absolutely gorgeous. So beautiful and well-made (very detailed and complex). They are very pretty and sparkly. I love wearing them, they give me this really girly, glamorous look. Size wise, they're not too big, so they don't look tacky, but they're just the right size to be noticeable - especially when light is reflecting off of them. I have light brown hair, so they really stand out against them. People have been complimenting me ever since I started wearing these. 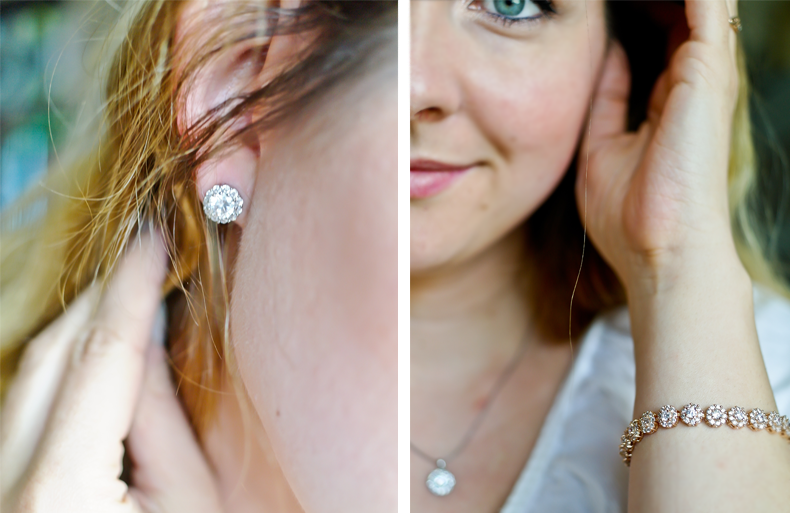 I am absolutely in love with these earrings - I wear them all the time! Probably one of the prettiest earrings I have ever received for review, and I did get quite a lot of them! Absolutely stunning! 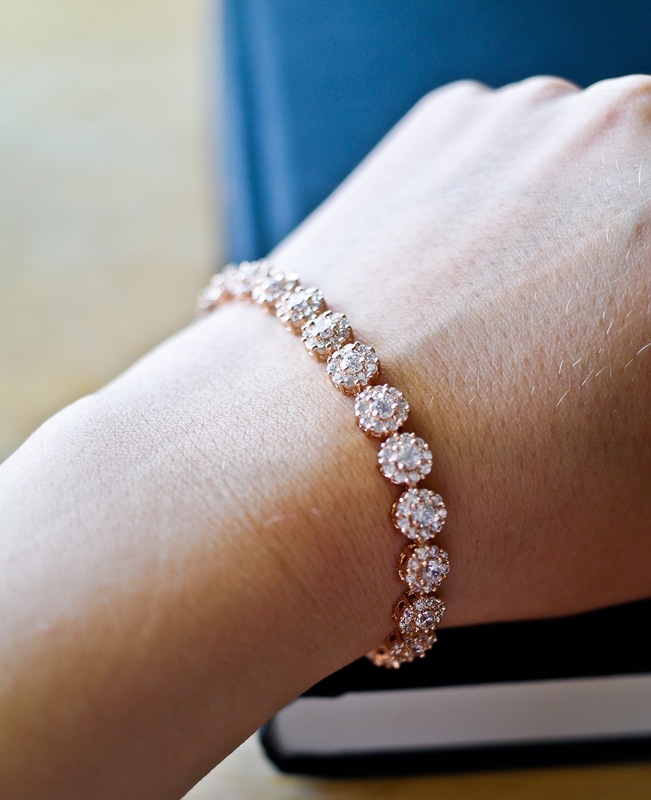 This bracelet is very sparkly and spectacular-looking. It's so shiny, you can see it from across the street, especially on a sunny day! If you like to wear some extra bling-bling to compliment your outfit, you will love this piece of jewelry. I think it's very well made. The Zirconia stones are diamond shaped, and together with the beautiful, warm gold plated bracelet they create a very glamorous look. I've seen other buyers complain about the clasp - personally I did not have any problems with it. You need to lift the side of it gently with your nail, and then you just slide the clasp out. It's actually a pretty easy-to-handle design. I really enjoy wearing this bracelet! 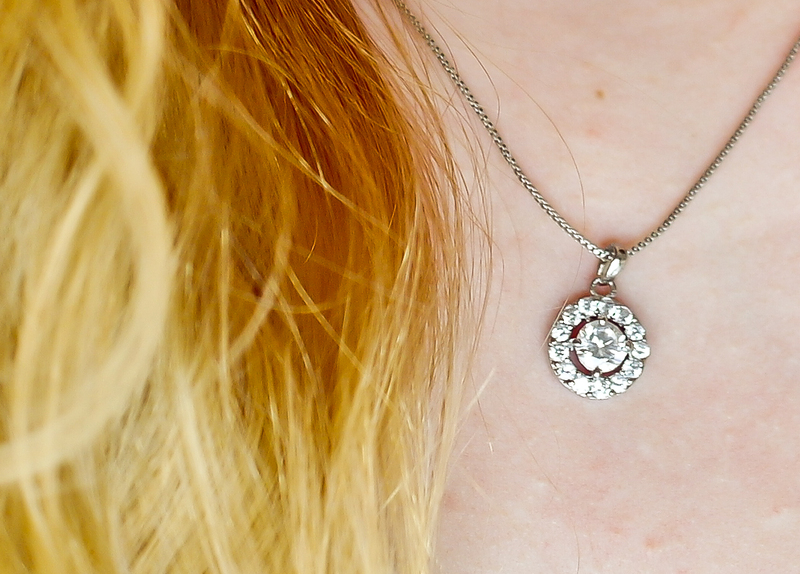 I really love this necklace. The simple, classic design is so girly and delicate! It's also very light-weight, so I often forget I even have it on. The chain is perfect length - you can adjust it slightly for just the right fit. I like to have the necklace resting just below my collar bone, where it's well visible. It's super sparkly and adds this extra pop to my outfits, no matter if it's a regular every-day jeans and blouse look, or an evening dress. 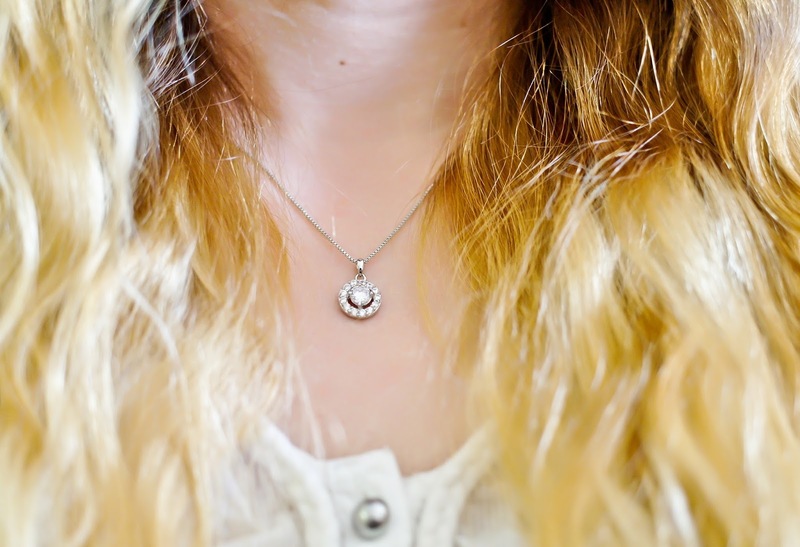 This necklace works great with just about any type of look! I am very impressed with the quality of this necklace. 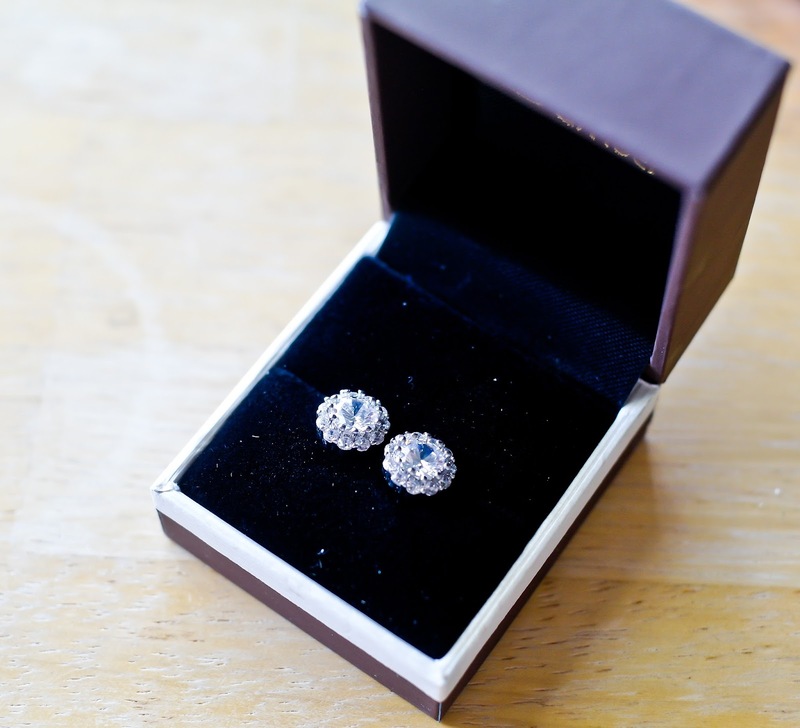 I wear it with the matching Zirconia earrings. It's one of my favorite pieces of jewelry. You can win $75 worth of Jewelry from Bamoer store! How exciting is that? !